We would like to recognize Erika Skewes as this month’s Rockstar. Erika is so passionate about her work. She shows so much compassion for her families and team members alike. In recent customer surveys, families rave about Erika’s work with them and ‘could not have asked for a more amazing service coordinator!’ She is a hard worker and is very knowledgeable. We are lucky to have her on our team! We are inspired by two individuals in the local area who have a strong sense of community and helping others. Last month, Annie Gray and Dany Tanguay reached out to help Imagine! raise funds during our annual Imagine! Celebration Gala. Annie and Dany frequent a local knitting group and learned about Imagine! through fellow knitters. These two ladies personally knitted warm gear for the gala’s silent auction. Between the large blanket, cowl, and several winter hats, Imagine! raised $435. last year or so how much of an impact Imagine! has had in the community and how much it has helped people, including a very dear friend of mine. 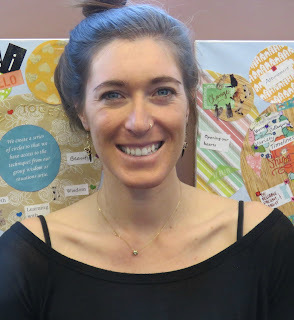 "I have a good friend who received a grant through Imagine! for her son. Learning that Imagine! helps local families in a meaningful way is what drove me to donate. I support other transparent charity organizations, but as a new mother, Imagine! resonated deeply with me. 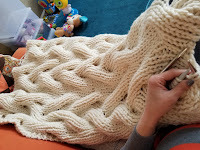 I started the blanket on Jan 20 and finished knitting, washing, and drying on Jan 25. The last two days were a knitting marathon! My son helped me out by taking some good long naps toward the end. My idea of a healthy community is empathy and caring. You can’t go wrong truly caring for a neighbor and being there for them. While we can’t all financially support everyone, love, understanding, and friendship are free. As a second generation Korean-American, I had the unique opportunity to see a community of first generation Korean immigrants support one another in a new country. Spiritually, they had the church. Financially, every member donated to a pot. When one member in their community faced a huge hardship, such as a theft or damage to their business, or sudden medical emergency, the money pot was given to them. Then my parents and community members would build up the pot again to take care of the next person with future hardships. any way. I plan to continue for many more years." 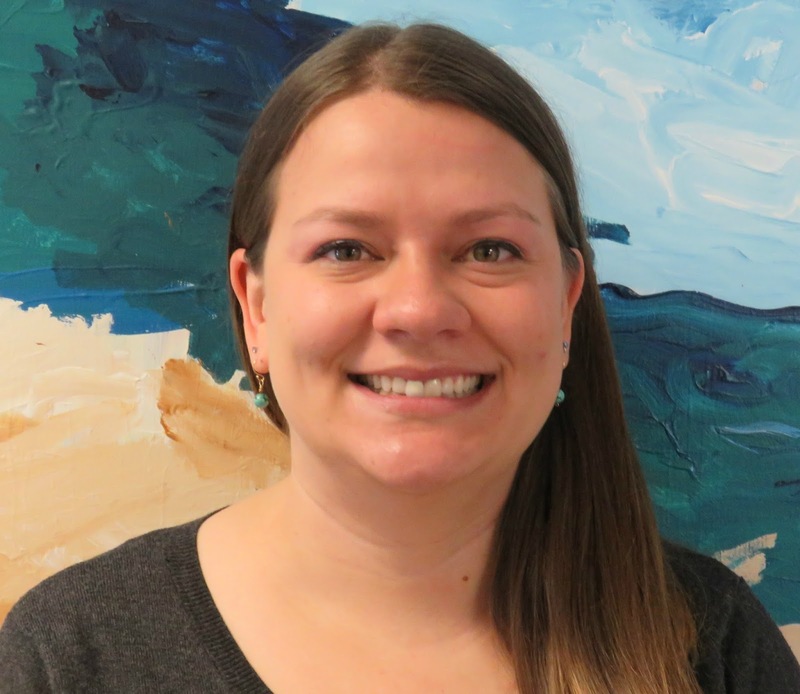 Congratulations are in order for Erica Stamm, who is part of our Family Support (FSSP) Team and was selected as the March 2018 recipient of the Imagine! Excellence in Customer Service Award. Erica is a critical member of the Family Support team and is held in the highest regard amongst her supervisor, coworkers, and the families we serve. Erica’s daily actions and strong work ethic defines what it means to be team player. Erica is always willing to step up and offer assistance to all areas of Family Support operations. Erica goes above and beyond for not only the families she serves in FSSP but also to support the FSSP team. Erica deserves this recognition for the all the extra job responsibilities she willingly takes on each day to better support the families in FSSP and the overall FSSP team. The FSSP team would not operate as smoothly without Erica! Great work, Erica, and congratulations on this well-deserved honor! Today we’d like to recognize Imagine! employees Quincy Hegeman and Jason Kingsbury, both of whom have been nominated for the Alliance Direct Support Professional of the Year Award. Alliance is a nonprofit, statewide association of Community Centered Boards (CCBs) and Program Approved Service Agencies (PASAs) that is dedicated to strengthening services and supports for individuals with intellectual and developmental disabilities (I/DD). This award recognizes the incredible work DSPs do every day to improve the lives of Colorado citizens with I/DD. The winner of the Alliance DSP of the Year Award will be announced next Wednesday, February 28, at Alliance’s Annual I/DD Awareness Day at the State Capitol in Denver. We don’t know if Quincy or Jason will be selected as the winner, but we do know that either way, Imagine! and the people we serve have already won by having these two as part of our staff! 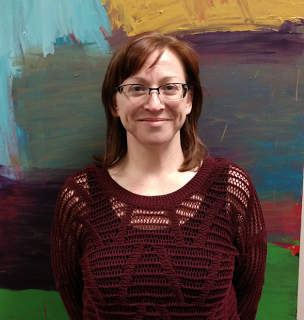 This month, the award was presented to Melissa Allen, who is a Coordinator for the Innovations Host Homes program. The latest update from Imagine!’s Leadership Development Group (LDG), submitted by LDG member Ally Joel. Imagine!’s Leadership Development Group chose “Drive” as one of the three books we will read over the course of the year. I found it to be useful to better understand how to harness my own motivation, and how to foster an environment that enables employees I supervise to harness their own motivation. Pink classifies motivation into two categories: carrots and sticks and intrinsic motivation. Carrots and sticks may very well be the type of motivation we are all most familiar with—if we perform a task well, we are rewarded (carrots); if we perform a task poorly/fail to perform a task, we are punished (sticks). This approach can serve as temporary motivation, however, Pink reveals that intrinsic motivation can be a more sustainable form of motivation, in that it is driven by performing the task itself, because perhaps there is a higher need for humans beyond being praised and reprimanded. In 1949, Harry F. Harlow, a psychology professor from Wisconsin University, and his students conducted a test with rhesus macaques, a species of monkey, to solve a puzzle. 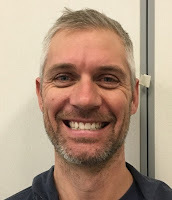 Contrary to the field’s prior understanding of motivation, Harlow found that the monkeys who were not given tangible rewards completed the puzzle quicker and with fewer errors compared to the group of monkeys who were given tangible rewards. So, businesses gave it a go. Businesses began embracing new approaches to foster motivation among their workforce. Google, for example, used autonomy as a motivational strategy by suggesting that employees spend twenty percent of their time on a personal project (related to the company). Because Google created an environment that fostered autonomy and thus, intrinsic motivation (creating one’s own project), projects such as Gmail, Google Talk, and Google Translate came to fruition. This tells us that with the right structure, people can innovate, continue to challenge processes, and enjoy day-to-day work just because they want to. Now I ask, what motivates you? How can you contribute to a motivated workforce to better the services of people living with I/DD? We would like to recognize Amy Miller as this month’s Rockstar. 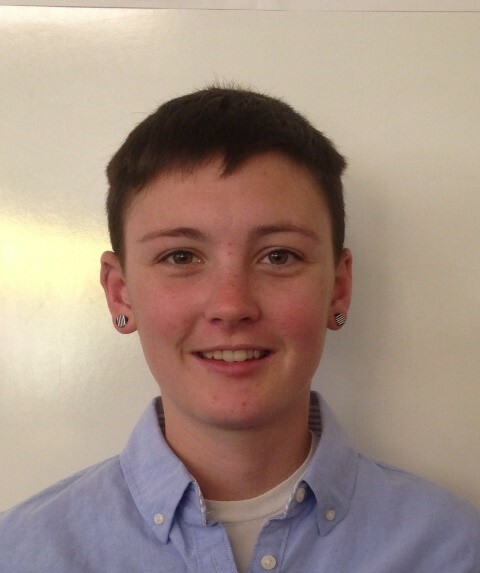 Amy joined the EI team in late October. Although it’s only been a few months, she has made a great impact on our team. She has managed to conquer our daunting task of electronically scanning all of our files into Questys in the short amount of time she has been with us! She brings a smile to every task she is faced with. We are lucky to have Amy on our team! front teeth on both top and bottom. Imagine! is very grateful to all of our generous donors throughout the years. 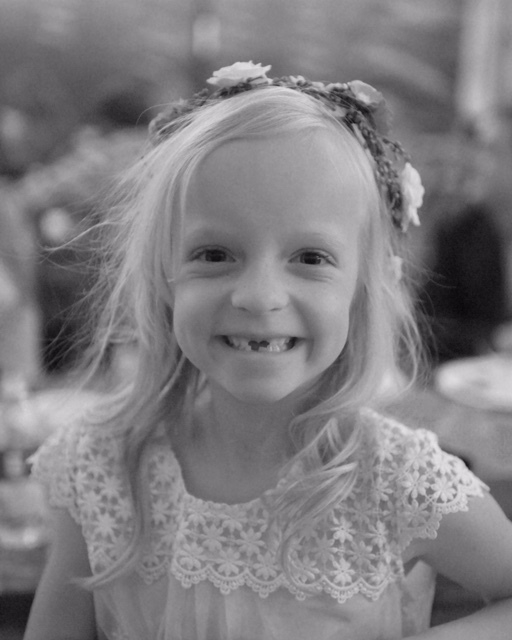 Today’s spotlight focuses on perhaps our youngest donor yet, seven-year old Mackie Ball. Late last month, Mackie noticed her mom getting dressed up for a fancy event and asked why. She found out that her mom, Laura, was going to the Imagine! Celebration, our annual fundraising gala. Laura works in Imagine!’s Human Resources department and attended the event as a volunteer to help with behind the scenes work. “Can I watch the video?” asked Mackie. Her mother told her that the video will be online after the event, but she can watch it after that. Mackie woke up the next morning and asked her mother about the money and the video. They found the video online and Mackie watched it. “What did you think of the video?” Laura asked. Mackie replied, “I like it because it shows someone’s life getting better and they became happier.” (See below to watch the video Mackie is talking about). Mackie’s four dollar donation was given to the Imagine! Foundation and logged in the books. A very special thanks to Mackie and Laura for fostering the spirit of giving, no matter your age. Imagine! 's latest Family Support Bulletin is available online. Medicare will be issuing new Medicare cards starting April 2018. 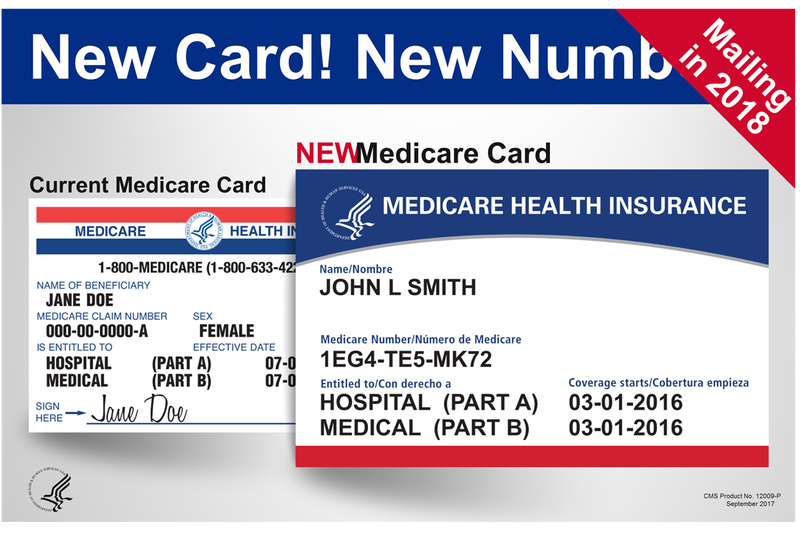 Every Medicare recipient will receive a new card. The new Medicare Number will be randomized, unique to the recipient, and will no longer reveal anything about the client’s benefits. Cards will be mailed between April 2018 – April 2019. The new card will not change any coverage or any benefits. 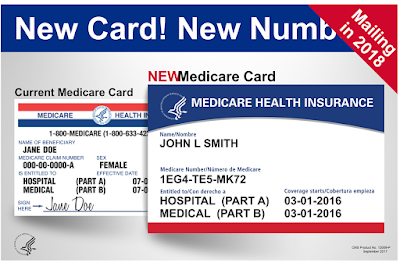 Medicare will provide additional information with the new card. We would like to recognize Mariah Kolhruss-Ecker as this month’s Unsung Hero! Mariah recently coordinated a very difficult and time-consuming emergency request. She was able to re-prioritize her job tasks to focus on the request, from the time the need was identified to the time the individual was re-located to a safe place. Mariah did all of this with a professional and calm demeanor, even during stressful situations. 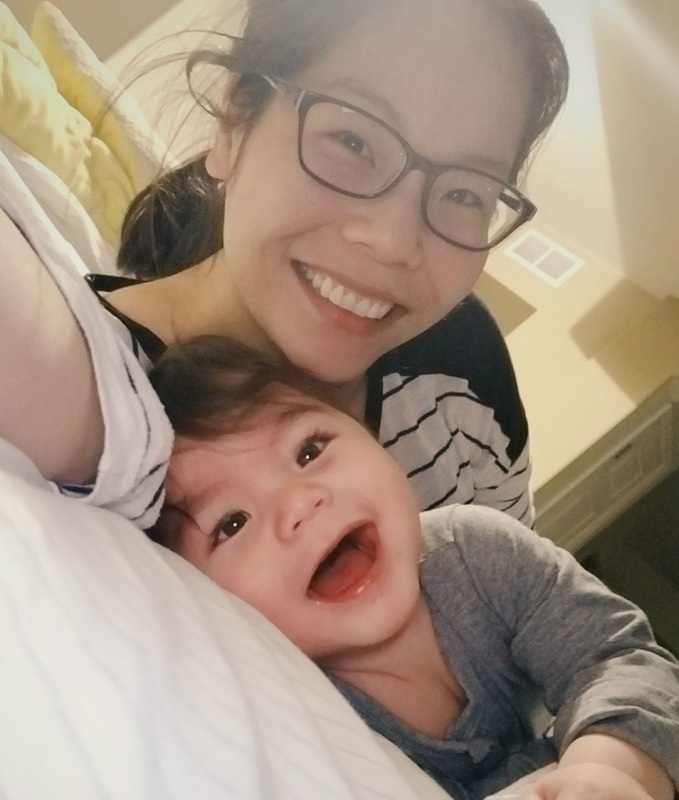 Mariah worked closely with the client’s team and stayed in constant communication with the team, her supervisor, and the Program Manager until the crisis was resolved, which spanned several days. Thank you, Mariah, for being such a dedicated case manager! Earlier today, Imagine! hosted a group of international visitors from China who are interested in learning more about non-profit management in the United States. We enjoyed their company and appreciate their interest in Imagine!. 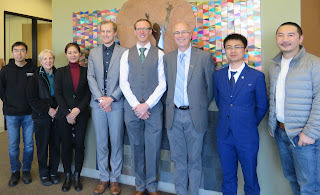 These visitors were invited to the United States under the auspices of the U.S. Department of State's International Visitor Leadership Program, and the visit was arranged by Meridian International Center. Review NGO methodologies for strengthening leadership; recruiting, training, and retaining volunteers; fundraising; and advocacy. This is the second time Imagine! 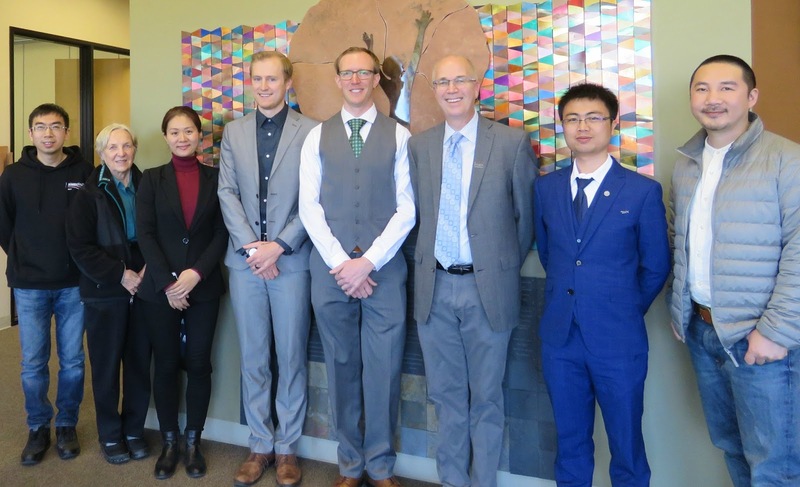 has hosted international visitors as a result of this program, and we are delighted to share our knowledge, to learn from them in return, and to work together on discovering global solutions to challenges facing us all.